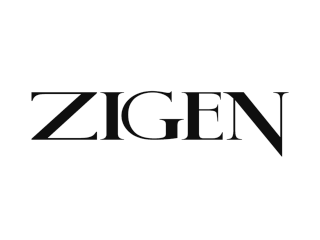 Zigen Corporation (Booth 7006) is set to introduce several new innovations at this month’s CEDIA show in Dallas. Designed and engineered in the U.S., Zigen will formally introduce its new IP-Logic AV-over-IP solution. The Zigen IP-Logic delivers true uncompressed 4K 600MHz with 4:4:4 8-bit color space rendering, and supports HDMI 2.0, HDCP 2.2, along with HDR video resolutions. Breaking new ground in performance, it also provides broadcast-quality upscaling and downscaling, color space, and frame-rate conversion, multi-source video compositing, audio embedding and de-embedding, audio downmixing and resampling, and video-splitting and bezel correction. The IP-Logic features advanced audio matrixing, which allows sound to be routed to and from any point in the system. As such, audio from any traditionally connected source, along with the sound from any TV in the system, can also be transmitted to any other connected point(s). Also on display will be major upgrades to Zigen’s line of switches. The SW-41Plus and SW-42Plus will feature a powerful new interface, providing enhanced functionality, along with even more stable 4K/60 18G performance. Zigen will also introduce the ZIG-POE-SUHD, which is the industry’s first 4K/60 18G HDBaseT extender, according to the company.